People who want to bring money into their life. People who want to hold onto their money. People who feel their savings are slipping away. People who want to improve their finances. Carefully following the instructions that we give you when you purchase it, and depending upon the above situation, place the Word Stone in the appropriate Feng Shui Bagua area. 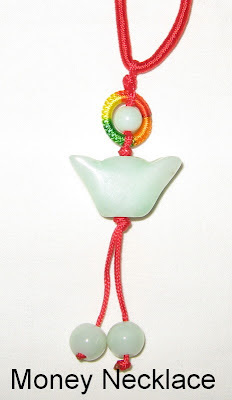 You'll find the Large Prosperity Word Stone on our Zen Appeal Feng Shui 10 Dollars and Under page http://www.bocafengshui.com/fengshui10dollars.html . Feng Shui Consultants of Boca Raton and Zen Appeal have added a new item at Zen Appeal. We have added the Hamsa with Chai Necklace to our Feng Shui Protection Jewelry page http://www.yourfengshuistore.com/Hamsa-with-Chai-Key-Chain_p_141.html . 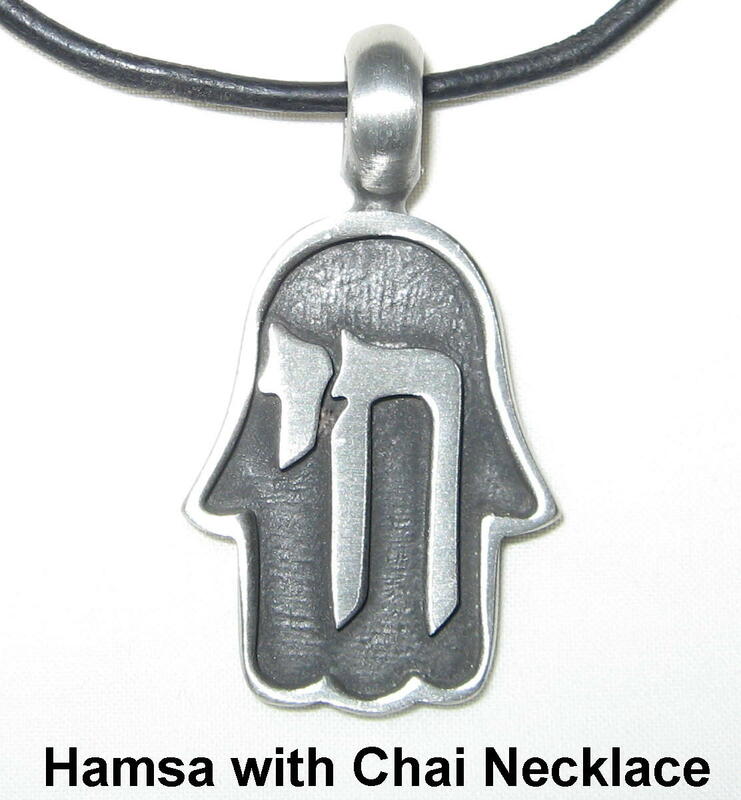 The Hamsa with Chai Necklace will protect you from the evil eye, remind you that G-d is blessing you and bring you luck. The Chai in the center represents you living a long and healthy life. Sneak Preview of upcoming products! Future products include: Nanbu Lock Coin, Victory Banner Key Chain, Dharma Wheel Hanger, Yin Yang Bracelet, Prosperity Coin Hanger, Gold Ingot, Lock Charm Necklace, Feng Shui Wealth Deity, Jade Ingot Hanger, and Hamsa with Chai Necklace. Now wipe up that drool and start planning your future orders! Zen Appeal http://www.yourfengshuistore.com/Nanbu-Lock-Coin_p_55.html . 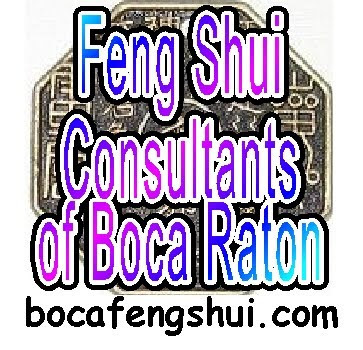 What can Feng Shui Consultants of Boca Raton do for me? We at Feng Shui Consultants of Boca Raton can help you re-design your life, prioritize your goals or just re-energize your life through the use of Feng Shui. You will learn enough about how Feng Shui applies to your personal space, in one consultation, so you can make all of the changes that you choose to make in your space and your life. We give you the tools, you do what you want with them. This July Rose Quartz Heart Crystals are hot. As the summer heats up, everyone wants to be paired up just like a pair of Rose Quartz Heart Crystals. Rose Quartz Heart Crystals attract love into your life or improve any romantic relationships. They can help you acquire a casual romance or something serious. A pair of Rose Quartz Heart Crystals create the energy necessary for you to pair up. You will find our Rose Quartz Heart Crystals on Zen Appeal here http://www.yourfengshuistore.com/Rose-Quartz-Heart-Crystal_p_38.html . To protect your property from abandoned or foreclosed neighboring property, hang a wind chime on your property near the offending neighbor. This will also stimulate the energy. July's Feng Shui Tip of the Month is our article called "Wind Chimes and Hanging Bells in Feng Shui - How are they Different?" Read this month's Feng Shui Tip of the Month here http://www.yourfengshuistore.com/Tips_ep_58.html . Please stop by every month to read our tip before it goes away and is replaced by next month's tip. Hope you enjoy the Feng Shui Tip of the Month for July and our new tip every month. I have been having money problems since I moved into my new home. I noticed that the wealth area is missing. Mark and Leslie, is there a Feng Shui cure? Thank you for your question. A missing Feng Shui Wealth and Prosperity Bagua area can cause money problems. Don't worry, there is an easy cure. Purchase an energetically cleansed and programmed Amethyst (or more than one) from us. You will find our Amethyst on Zen Appeal here http://www.yourfengshuistore.com/Amethyst_p_36.html . Next, go to where the wealth area of your home should be. Then, dig a small hole in that corner and bury the Amethyst where the Wealth and Prosperity corner should be to complete your Bagua. You'll find our Money Necklace on Zen Appeal here http://www.yourfengshuistore.com/Money-Necklace_p_69.html . The Money Necklace will increase your wealth and prosperity while protecting it. It is an adjustable red cord necklace with a dyed green quartz gold ingot charm. 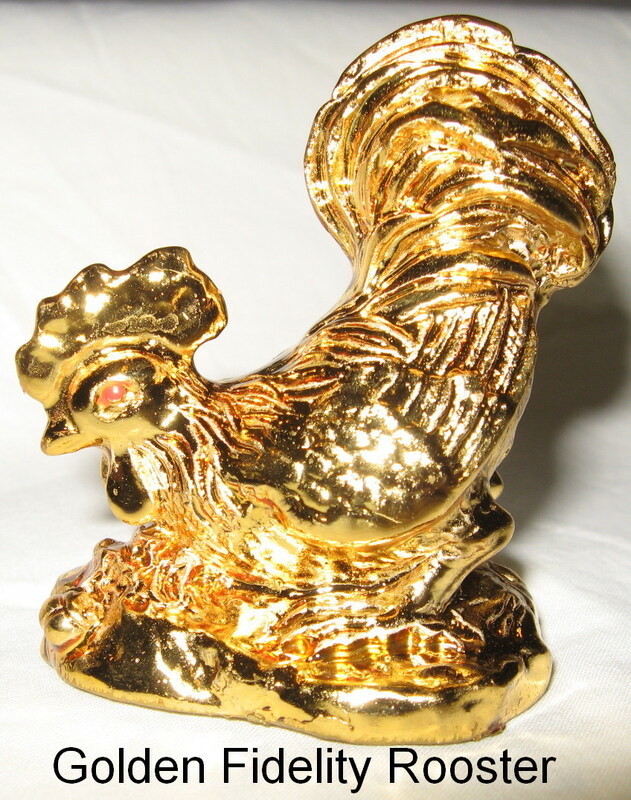 You will find our new Fidelity Rooster on Zen Appeal here http://www.yourfengshuistore.com/Fidelity-Rooster_p_140.html . 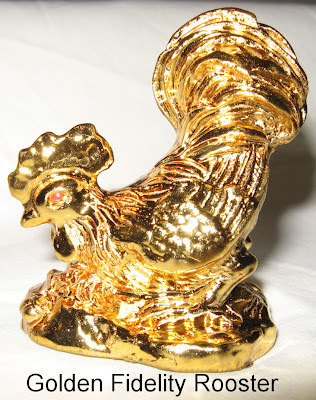 The Fidelity Rooster will stop your mate's cheating and prevent future affairs. You will be left with a stronger and healthier relationship with no interfering third party. Back by popular demand is one of your favorite things! The Horse for Success has returned to stock. This Feng Shui Horse will help you get the advantage at work so you can get ahead and make more money. You will find our Golden Horse for Success on Zen Appeal here http://www.yourfengshuistore.com/Golden-Horse-for-Success_p_139.html . We've been shopping for you. We love shopping as much as you do. We have had a lot of fun buying new Feng Shui cures for you over the last few months. Here is a sneak preview of some upcoming products! Future products include: Dharma Wheel Hanger, Yin Yang Bracelet, Gold Ingot, Lock Charm Necklace, Jade Ingot Hanger, and Hamsa with Chai Necklace. Start making your shopping list now because we're stocking up with new stuff you're gonna love! Zen Appeal has a page dedicated to special sale items, each available for a limited time only. Sale items come and go without warning, so please check the page often and enjoy the big discounts! Here's the link to the Zen Appeal Sale Page http://www.yourfengshuistore.com/On-Sale_c_23.html . Featured Sale Items include - Large Chinese Coin on Red Cord, Ten Commandments Necklace, Lucky Carp Hanger, Longevity Bracelet, Lotus Coin Flower Hanger, Chinese Zodiac Hanger, Kwan Yin Dragon Necklace, Power Silver Necklace, Cloisonne Fertility Elephant Pendant, Purple Dreams Dream Catcher, Feng Shui Nine Coin Hanger, Safety Feng Shui Bell, and more! Savings up to 33% off on some items! Some of our most popular items are on sale! Sale Prices starting as low as $.50! All on our Feng Shui Sale page http://www.yourfengshuistore.com/On-Sale_c_23.html . Recently some of our popular items have unfortunately been discontinued by our suppliers. We have limited quantities of the following items available: Healing Candle, Cloisonne Fertility Elephant Pendant, Fertility Elephant Key Chain, Gold Lucky Turtle, Golden Headed Turtle, Protection Candle, Lucky Turtle, Prosperity Union Money Frogs, Buddha Mouse Pad, Rose Quartz Kwan Yin Necklace, Pocket Fertility Angel, Genuine Chinese Coin Red String Bracelet, Angel of Healing, Long Life Character, Lucky Cat Wish Box, Painted Royal Elephant, Evil Eye Necklace, Chinese Calligraphy Bracelet, Longevity Bracelet, Angel Within You, Power Silver Necklace, Feng Shui Wealth Handbag, 3-D Dreams Dream Catcher, and Silver Floating Heart Necklace. 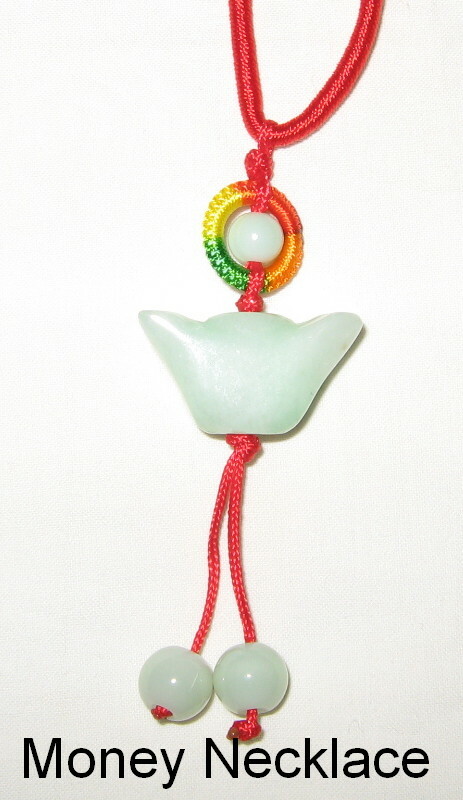 Feng Shui Consultants of Boca Raton and Zen Appeal have added a new item at Zen Appeal. We have added the Mystic Knot Hanger to our Feng Shui Protection Cures page http://www.bocafengshui.com/fengshuiprotectioncures.html#here . The Mystic Knot Hanger will protect people and property from evil spirits. The Mystic Knot will also end your streak of bad luck and transform you into a person with good luck. Feng Shui Consultants of Boca Raton and Zen Appeal have added July's Feng Shui Tip of the Month. 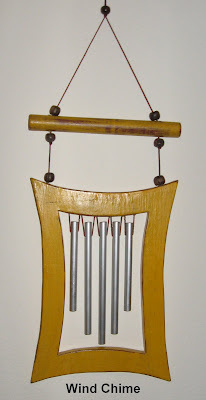 Please visit http://www.yourfengshuistore.com/Tips_ep_58.html to read it and find out how Wind Chimes and Bells differ in Feng Shui. Feng Shui Wind Chimes and Bells can be used to cure many of the same Feng Shui issues, but there are times when one is preferable. This article tells you when to choose either a Wind Chime or a Bell and why. Here's the beginning of the article, to get you started: Wind Chimes and Hanging Bells are both very common Feng Shui Cures. In some situations they are interchangeable, but there are differences between their properties and uses. 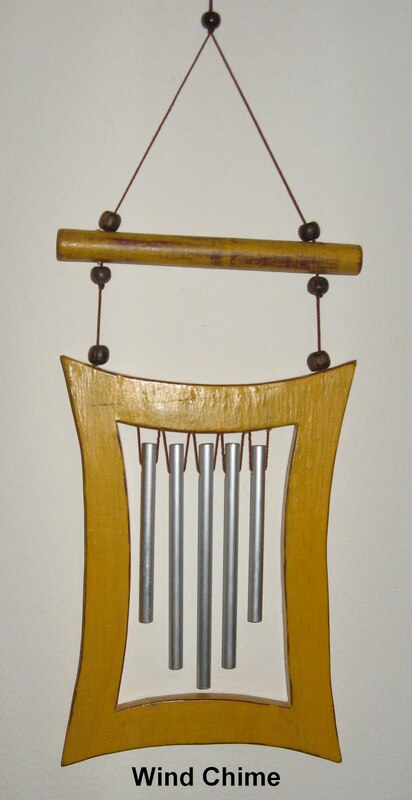 Wind Chimes that are most commonly used as Feng Shui cures have hollow metal rods. Please visit http://www.yourfengshuistore.com/Tips_ep_58.html to read the rest of the Feng Shui article. Enlightenment and serenity are the best cures for summer's heat. Good prices on Feng Shui products work pretty well too. Our July Sale items have been added http://www.yourfengshuistore.com/On-Sale_c_23.html . 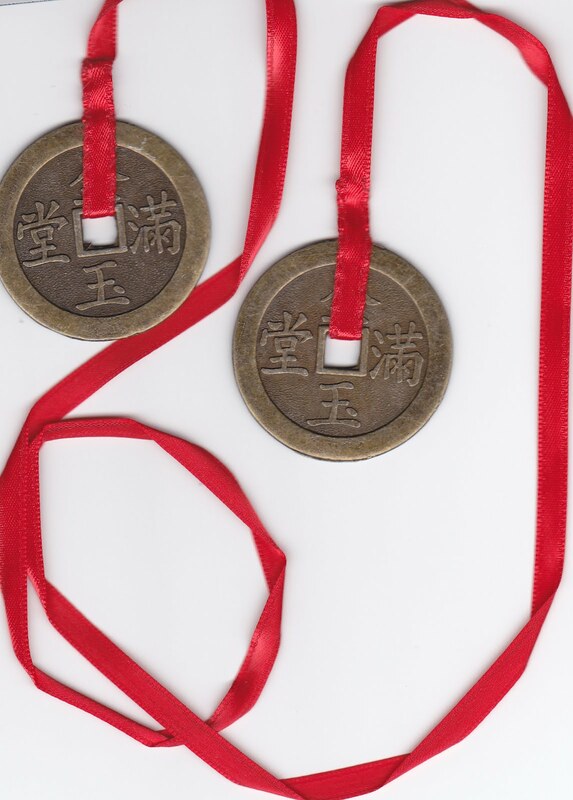 Some of our new sale items include our Large Chinese Coin on Red Cord, Ten Commandments Necklace, Lucky Carp Hanger, Longevity Bracelet, and our Lotus Coin Flower Hanger. Please visit our Zen Appeal Feng Shui Product Sale page http://www.yourfengshuistore.com/On-Sale_c_23.html to see all the great discounts for yourself. Savings up to 33% off on some items! Some of our most popular items are on sale! Sale Prices starting as low as $.50! Don't forget, Free Shipping for all orders $50 and over.